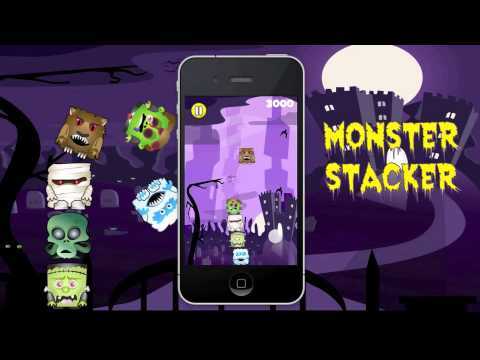 Monster Stacker Free! by Liquid Gameworks — Welcome to the GameSalad forum! October 2011 edited 5:56AM in Announce Your Game! We have a couple of bigger games coming out in the next couple months, and before we released these, we wanted to go through the full process of completing and publishing a game (for education sake). So, we bought a template, bought some art, worked for a couple days, and out came Monster Stacker. This version is free, and was our first test using iads. Also, we have a company splash page in the works, so we consider this at least better than a GS splash. Looks fun, I like the whole bat thing. They are flying around, looks really good.